Adventure comes in many forms, but boiled down to its basics, adventure is simply about going where you’ve never gone before or doing what you’ve never done before. Sometimes it involves having a specific step-by-step plan, and sometimes it’s all about exploring and figuring it out as you go along. The latter is how we set out to build our own teardrop trailer. Our big plan was to wing it, to step out on a limb with a destination in mind and take a leap of faith that our wings would do what we knew they could do, and that we’d get where we wanted to be. THE INSPIRATION: The first time we saw a teardrop trailer, we were tent camping in Big Sur on the coast of California. The year was 2012. I had been in California all of a year, having moved there from my birth state of New York. After a lifetime of camping primarily in the Northeast United States, California seemed like a candy store, fully stocked with endless shorelines, expansive inner-mountain ranges, and forests of every height and girth. 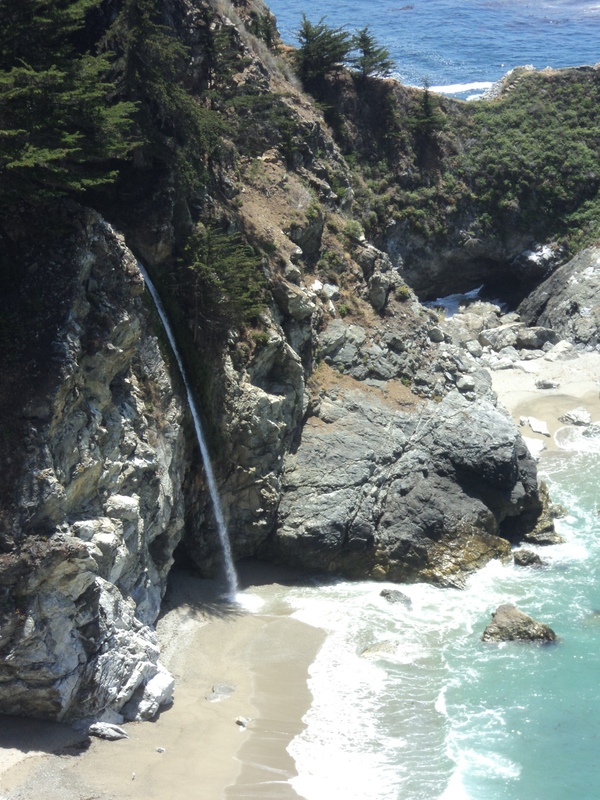 And Big Sur offered it all– shoreline, mountains, and forests, all wrapped up in one gorgeous package. It was there that we saw it . . . a tiny teardrop trailer. 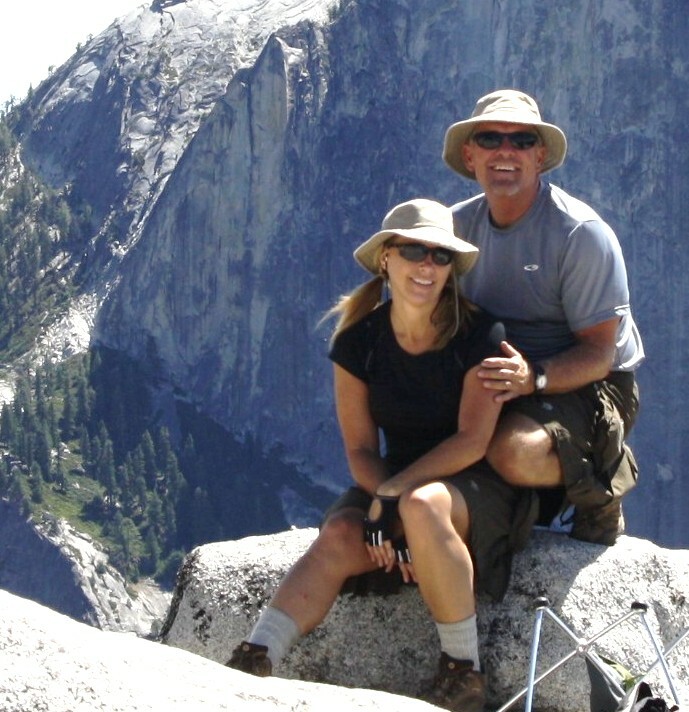 We’d just spent an hour or two setting up a huge tent, a camping kitchen, filling up water jugs from a nearby faucet, unloading all our stuff from the utility trailer (one of several Mark had built through the years), . . .
Mark’s other DIY project . . . a utility trailer with removable side panels. Mark’s camp kitchen setup . . . felt like we were doing cooking demos when using it! and in rolled a tiny camping trailer no bigger than the car that was hauling it. Within 15 minutes, the happy owners of the trailer had set up camp and were kicking back with a glass of wine. We gawked at them, envious and miffed . . . hmmmmm. Curious, we strolled by and struck up a conversation. The husband and wife cheerfully gave us the teardrop tour (available all day long, it seemed–teardrop trailers naturally double as people magnets!). We ooh’d and aaa’d over the queen-sized bed and the cozy hatch-back kitchenette. The disappointing news for us was that their particular trailer went for roughly $13,000 brand new . . . way too steep a price tag for us. The interesting news was this couple had bought their teardrop trailer second-hand for $6,000 and altered it to their liking. Roughly a month later, that’s exactly what we set out to do. With only a vague idea of how to begin, we researched like heck whatever teardrop trailers we could find on the internet and then decided what style we wanted to make. We discussed some finer points about cabinetry needs, kitchen features, etc., and then just started building it! THE PROJECT: Over the course of four months, it went something like this . . .
To be sure, there were many trials and tribulations along the way, but for the most part, we worked together on this project, and that made all the difference. Mark had much more construction knowledge than I did, but I had a practical yet creative mind that served us well on many occasions. I had many ideas about aesthetics and design and even came through with viable solutions when we got into inevitable jams. We found that with the two of us working together, when one of us exhausted all our ideas, the other was able to come in on a fresh, new angle. As with most things Mark and I come across, we’re hardly ever interested in buying something brand new. We’d rather restore, re-purpose, or attempt to build it ourselves. Granted, a big reason for that is we’re simply not financially well-off enough to afford new everything. But honestly, the bigger reason is we enjoy the challenge of attempting to fix or build something ourselves. For one, we get to work on projects together, which improves our communication with one another. For two, with every project, we inevitably learn a couple of new skills we can port over to the next project. For three, we acquire a sense of empowerment by staying self-reliant, comforted in knowing that we can always make ends meet should our life adventures throw us a curve ball or should we temporarily lose our way. With many of the projects we embark upon, we often don’t know what awaits us. We often don’t know if we have the specific skills we’ll need to get the job done. That can be intimidating. What we DO know, however, is we definitely have the most important tools: patience, common sense, cooperation, resilience, and desire. Everything else we need, we acquire by simply doing it! Here’s a link to a post, showing what the final product looks like these days . . . Photos of Our Own Home-Built, Custom Teardrop Trailer. Great article and build. I also noticed one of you were or are LEO’s.. I ran the Baker to Vegas several times before I retired. Thanks, Phil! No LEO’s, though we have much respect. Thanks for keeping Baker to Vegas covered; glad you’re safely retired . . . hopefully enjoying a little R&R. Glad to have you following us. What a great post! I have been eyeing Teardrops for some time now. I wish we could consider building our own but not with our skill level!! One of these days we may stumble upon a good deal. We will keep looking and keep camping anyway! Thanks so much! People do sell used ones, so just keep your eyes open. Seek out teardrop trailer gatherings, if any, at campgrounds near you and take a stroll amongst them, looking for those “For Sale” signs. I’ve seen ’em at events we’ve attended.